"So it is really a labour of love. 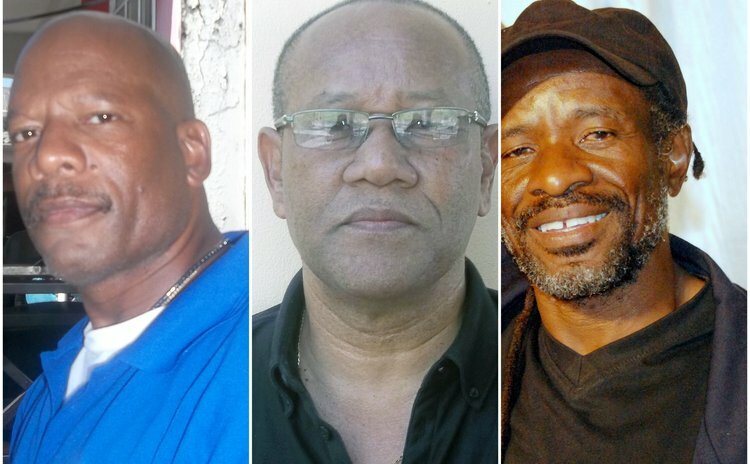 The pirates are a major problem, you have all the expenses and these guys take one CD and they copy and copy so they can under-sell it because they have no expense other than just buying a CD which is a couple cents," said Pat Aaron, the king of calypso-writing in Dominica. "To me it has been the cause of the collapse of the CD sales in the business". Aaron added: "In Dominica writers do it for the love because there is no money in it. What we get back is nothing compared to what we are putting out. So it is a matter for love of the art form and if you are really there for the artiste but there is no money in it." These words coming from Aaron may discourage persons from testing their abilities in writing calypsos. However, since it is all "love for the art form", budding writers may want to do it for love and not love for money. Tim Durand, another top calypso writer shared Aaron's view. Due to prior engagements Durand did not step into the arena this year and says he started off in 1996 by accident. "Calypso doesn't have a lot of money except if you win the crown and the other thing to it depends on what you in it for; if you in it simply to make money then you probably will likely run into conflict because you are looking for as much money as you can get if you in it for other reasons," Durand said. "I didn't get into calypso for money, I got into it writing calypso accidentally. I was already a musician, I have written other songs, I was in a band. It was by accident but I grew to love it; writing calypsos that just generally evolved my love for music and later on I just liked the idea of being able to contribute to calypsonians of talent to enable them to really impact. My motivation was not money, I did get some money for the people I wrote for but we had a good relationship and it was never driven by monetary consideration." Durand added: "It is an unfortunate thing that our calypso writers and the performers have to put so much into producing material that people, the pirates should so callously use. The material that doesn't belong to them and profit of the material or the songs while the people who are actually working hard to produce the songs both in terms of writing and making the records and singing, they are not able to get the benefits and I think that is a very unfortunate situation. "They must understand that it takes a lot of work, they don't understand that the only way that people write songs and produce records the only way they can make the money is for them to be able to sell and for people to pay them for the use of that product." Nevertheless, Durand noted that a lot of progress has been made in creating awareness about copyright. "There are people who are either still ignorant of the issues involved or they just deliberately refuse to understand and set out deliberately to pirate the songs of artists knowing full well that it is illegal," he said. Jerry "Oracle" Lloyd is a member of the "First Calypso Family" and a well-known song writer. His hits include "Pit Toilet" and "Up on Video" both helping his nephew Jamaal "Black Diamond" Lloyd to reach the finals. Jerry who fell in love with calypso at the tender age of seven, shares the views of his song-writing colleagues. "It is and it would be because every time that music is pirated affects one's ability to earn revenue in the first place which is unfortunate to both writer and artists because one would expect if you put work out there, the composing, the studio costs, the invaluable cost of intellectual property doesn't go to the full benefit to the people who put the work into actually producing so that's a big bother," said Lloyd. "It is a hard thing to fight because technology makes it particularly difficult to do so; I think our strongest hope will be in the determination of our people and the people who buy to ensure that in support and in solidarity with writers, singers, composers a like would say no to buying pirated products and buy the originals to give the people that kind of opportunity to at least earn something out of the work that is put into this." It's unfortunate that the "love for the art form" will not bring the artists and writers the rewards they deserve.